The Bodensee is a unique region for various reasons. It takes little time to get from one country to another: by car, train, ferry or on foot. National borders between Switzerland and within the EU are relatively open and unproblematic to cross; additionally, the region shares a common language and Germany and Austria even a common currency. Consequently, daily cross-border commuters hardly notice these open and “soft” borders, while tourists tend to overlook them, be it for the lack of actual barriers or controls. These once strictly dividing borders increasingly reveal advantages. The neighboring country offers economic benefits and tax advantages, thereby attracting visitors from across the border. Germans do not only fill up their cars with fuel, but their trunks with chocolate or coffee, whereas Swiss entrepreneurs create bank accounts, particularly in Austria, to manage their euro revenue without having to deal with exchange rate fluctuations or currency converting fees. The economic benefits on both sides of the border are mainly responsible for specific dynamics within the region. Only a handful of people from the German city of Constance would set foot in the neighboring city of Kreuzlingen with its grey and dull townscape, were it not across the border in Switzerland. 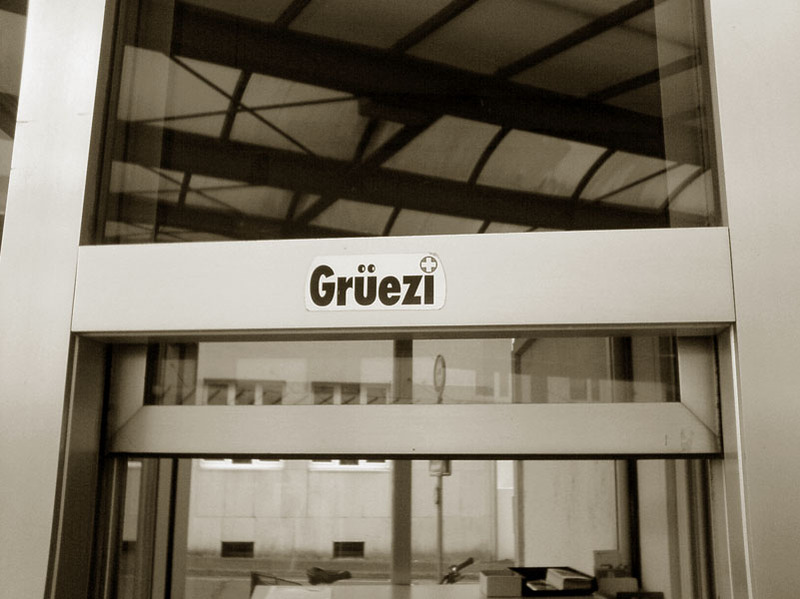 Although significantly smaller than its German counterpart, Kreuzlingen is able to offer products which are more affordable and attractive than in Constance, leading the citizens of Contance to go shopping across the border. 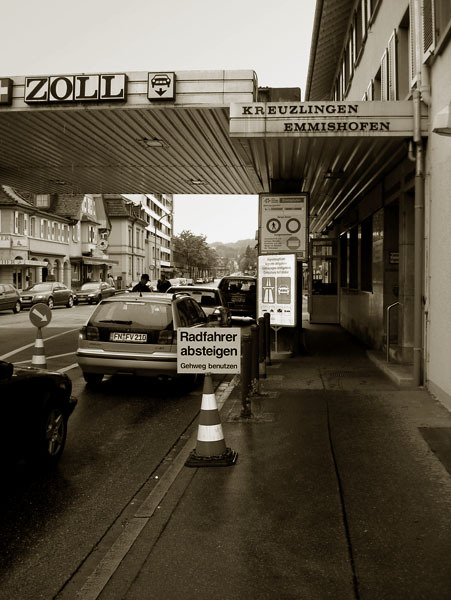 Likewise, the citizens of Kreuzlingen profit from the cultural offerings and shopping prospects while visiting Constance. That way, the border creates a balance between two otherwise dissimilar cities. The national borders in the Bodensee region are firmly integrated in people’s ordinary life as the interaction with them has become a day-to-day routine. Economic advantages, both slight and significant, are already worth the small effort it takes to get to the neighboring country. Those crossing the border, “Grenzgänger”, and the border officials face each other on a daily basis with mutual composure. Not until this very routine is suddenly interrupted, whether because of traffic jams or random controls, the national border materializes itself to remind everyone of its designated function.